It is very helpful for children to learn about the Community Helpers Ambulance and Emergency Medical Service workers in their are. Knowing who these workers are and what they do will help children feel less frightened in the event of an emergency. Let the Community Helpers Ambulance theme planning begin! Draw or print off large, paper badges. Provide paint, markers, crayons, aluminum foil, and miscellaneous arts and crafts supplies for the children to decorate (if you go for supplies to decorate with, cut the badges out of sturdy tagboard). Add ambulance and other emergency vehicles to the block area. Many teachers are hesitant to teach this theme for fear that the children will dial 9-1-1 or the Operator just to see what happens. They might, in fact, do that. During this theme, be sure to tell them the rules to calling for help. 1. It MUST be a REAL emergency. You can't find your puppy? Your sister won't share with you. Your Mom fell down and can't get up. 2. You tell an adult who is with you FIRST (Mom, Dad, babysitter) about the emergency. 3. Tell the person who answers the phone your name and where you are and what happened. Listen to what they tell you to do. I'd recommend having an EMS worker come to your preschool to answer questions as well. Help's on the way. Helps on the way. If I need help, I know what to do. It makes me feel safe to know what to do. Snack Recipe Ideas to Cook Up for Your Community Helpers Ambulance Theme! Use cream cheese to frost graham cracker ambulances. One square is the back of the ambulance. One half of a square would be the front of the truck! Make a large box into an ambulance. Cut out doors and windows. Place the items you would need in an ambulance inside the box such as a mat or sleeping bag and a play medical kit. Provide different shapes, sizes and colors of bandaids (donated by parents) for the children to make a colorful collage. Ask questions about boo-boo's they've had and print their stories onto the paper. Take a tour of your classroom or school with the children. Bring along some red dot stickers. Ask the children to name things that are safe or not safe. Place red stickers (the teacher does this part!) on the items the children decide are not safe to touch. Some examples would be: Stop at an electrical outlet. Ask the children if it is safe or not safe to touch it and why? Place a red dot on it. The water fountain--is it safe or not safe? It is safe, no dot needed! Community Helpers Ambulance Theme Activities to help your Preschoolers develop those small muscles in their hands! Provide emergency vehicle themed puzzles for the children to work on. Use table top puzzles as well as floor puzzles. If you have a large poster of an ambulance, laminate it and cut it into large pieces for the children to work on. Community Helpers Ambulance Theme Music and Movement Activities and Ideas to get your Preschoolers Movin' and Groovin'! The song "9-1-1" is AWESOME for this theme and I suspect you'll like the other songs, also! Ambulance Theme Activities for the Senses! Add sand, emergency vehicles and little people to your sensory table this week! Ambulance Theme Science Activities--for your Preschool Scientists in Training! Science activities are ways to help the children understand the world around them. Materials: Pictures of activities that are safe and unsafe; One paper that says SAFE with a smiley face on it and one paper that says NOT SAFE with a sad face on it. The children sort the pictures accordingly. Some examples would be a picture of cars on a busy street. A picture of someone climbing a ladder. A picture of a book of matches or a lighter. A picture of someone riding a bike with a helmet on. 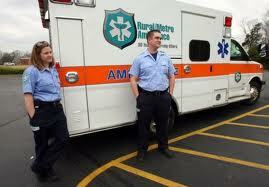 Writing Activity Ideas for Your Ambulance Theme! Children often confuse a number 6 with a number 9. To help with this and their writing skills, make up many cards with the numbers 9 1 1 listed on them. Provide low-odor, dry erase markers for the children to trace these numbers! This could be an interest center activity to follow up on a 9-1-1 Circle discussion. Miscellaneous Activities for Your Preschool Ambulance Theme! Any emergency helper: EMT worker, paramedic from the fire department, nurse, doctor, etc.